Ever wondered where to put all the foreign species that you found during your journeys? Have a need to invesigate their nature? down your subjects and securly lock them away. those if you dont want to use IDL. 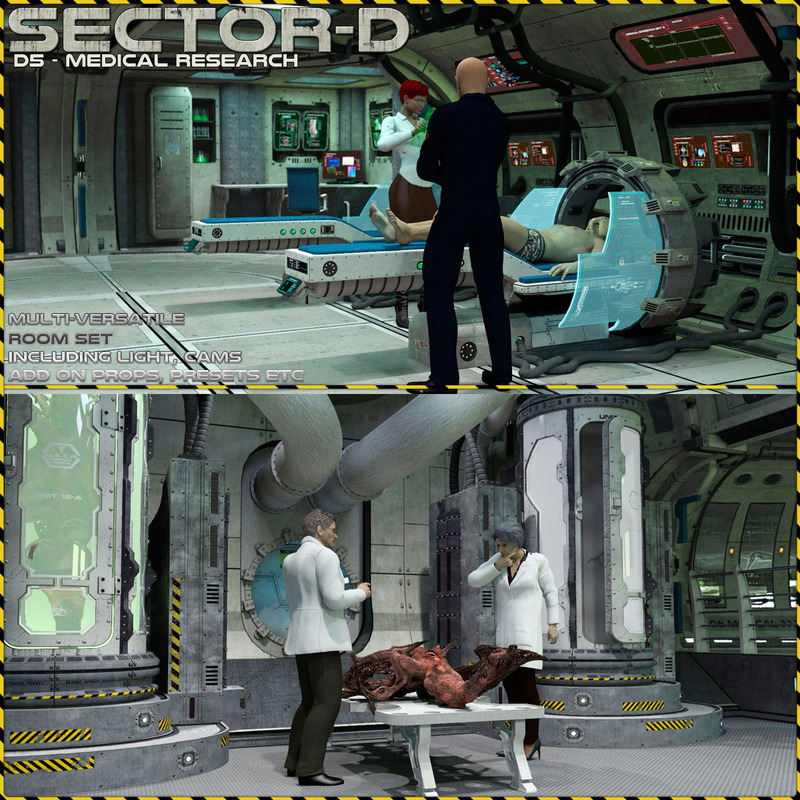 Included in the set are poses, props, lights and cameras to let you start right away. Also check our large freebie Section for more add on stuff! Item has been designed and fully tested in Poser. Will work in D/S with few limitations such as materials might look a bit different. We do not believe so! Here comes a complete set of a cryo stasis environment. It includes the entire room set with cryo tanks, walkways, panels and control racks. As complete as always, we put in also basic set of poses for V4 and M4, light sets, a complete set of cameras and additinal mats for athmospheres. This pack is designed to work best with indirect lightning used. All items have “illuminators” assigned as separate bones. Desgined for Poser. All items load OK in D/S. Lights etc are designed to give best output in Poser. Check the other sets of this series.